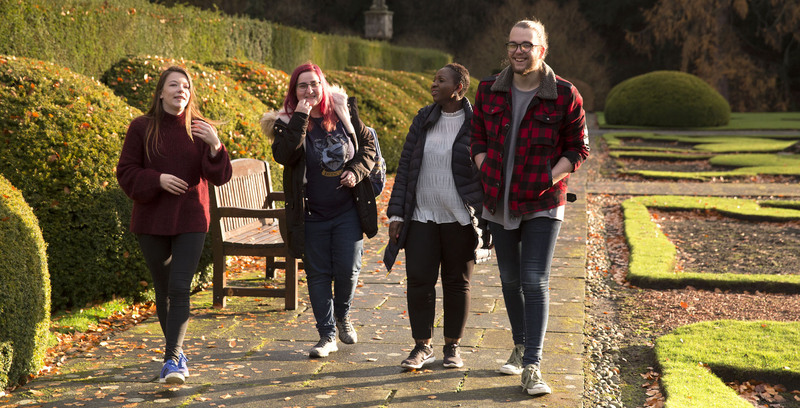 Newbattle Abbey College offers four courses in Arts and Social Sciences. Simply explore the details of each course by clicking on the links below. Our one year full-time HNC Social Sciences is an Associate Student Scheme, run in partnership with QMU. Students who successfully complete this course will progress to Year 2 in certain undergraduate programmes at QMU. This course is available on a residential and non-residential basis. Part of the Scottish Wider Access Programme (SWAP), this course offers a unique learning experience to adults aged 18 or over, with few or no qualifications. Our six month full-time Preparation for FE Course, delivered over three days a week, offers adults an opportunity to prepare to return to full-time study.